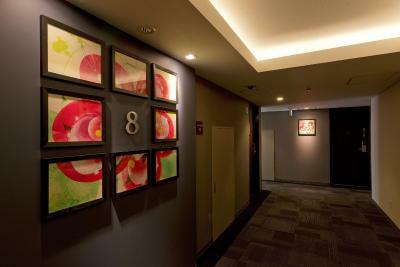 Lock in a great price for Hotel Gran Ms Kyoto – rated 8.6 by recent guests! Bed and room temperature were comfortable. The hotel is close to a traditional market and many restaurants. The location was really great, it is within walking distance of 3+ Subway stations that offer different lines. It is also right next to a popular shopping area with numerous restaurants options. The mattress was comfortable. Good location and reasonably big room (compared to others that we’ve been in Japan). Room was modern and well equipped. Lovely, restful location and hotel . The staff were wonderful ....friendly and most accommodating. Staff were super welcoming and friendly, check in and out was a breeze. great location close to shops, ramen across the road was delicious and a must go. The location is great, between Gion area and the market. The staff were nice, it was good value for money. The location is just perfect easy access and close to everything ! They replaced water in the fridge every day, which was great. Staff, location and hotel was convenient and excellent. Highly recommended. 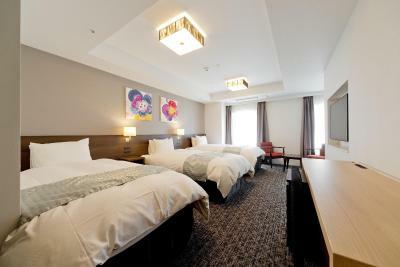 Hotel Gran Ms Kyoto This rating is a reflection of how the property compares to the industry standard when it comes to price, facilities and services available. It's based on a self-evaluation by the property. Use this rating to help choose your stay! 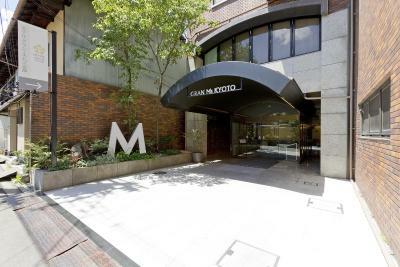 One of our top picks in Kyoto.Only a few steps from the Kyoto Shiyakusho-mae Subway Station, Hotel Gran Ms Kyoto offers Western and Japanese room with free WiFi. It’s a 10-minute walk from the Gion district, and a 5-minute walk from both Keihan Sanjo Train Station and Hankyu Kawaramachi Train Station. Compact rooms either feature Western beds or a Japanese interior with a tatami (woven-straw) floor and traditional futon bedding. All rooms are fitted with a flat-screen TV, a fridge and an electric kettle. The bathroom includes a bath, toiletries and a hairdryer. 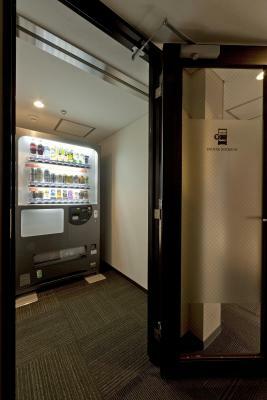 Gran Ms Kyoto Hotel has a 24-hour reception, and it offers free luggage storage. Drinks vending machines and coin launderette are available on site. Popular areas like Pontocho and Nishiki Food Market are located within a 10-minute walk. The nearest airport is Osaka Itami Airport, an 80-minute train ride and walk away. Nakagyo Ward is a great choice for travelers interested in city walks, food and old-town exploration. This is our guests' favorite part of Kyoto, according to independent reviews. 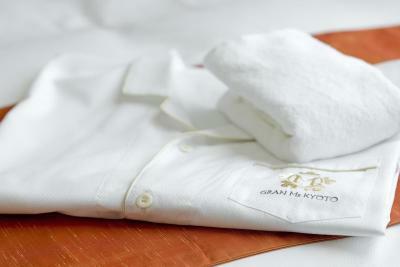 When would you like to stay at Hotel Gran Ms Kyoto? Compact rooms are air-conditioned and fitted with a flat-screen TV, a fridge and a desk. An electric kettle and toiletries are provided, and the bathroom also includes a bathtub. Free Wi-Fi is available. Compact air-conditioned room with a flat-screen TV, a king sized bed and a fridge. An electric kettle and toiletries are provided, while the bathroom also includes a bathtub. Free WiFi is available. Air-conditioned room with a wall-mounted flat-screen TV, a seating area and a fridge. An electric kettle and toiletries are provided, while the bathroom also includes a bathtub. Free WiFi is available. 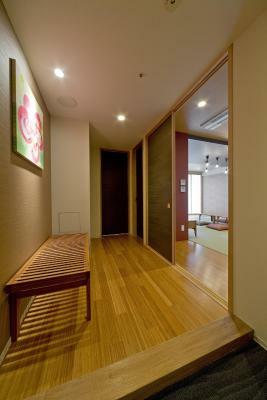 Rooms featuring a Japanese interior with a tatami (woven-straw) floor and traditional futon beds. All rooms are equipped with a flat-screen TV, a fridge and an electric kettle. The bathroom includes a bathtub, toiletries and a hairdryer. Guests need to prepare their own Japanese-style futon mattresses. Rooms featuring a small Japanese garden (tsuboniwa) and a Japanese interior with a tatami (woven-straw) floor and traditional futon beds. All rooms are equipped with a flat-screen TV, a fridge and an electric kettle. The bathroom includes a bathtub, toiletries and a hairdryer. Rooms are 32 square yards. Includes air conditioning, a flat-screen TV and a fridge. The bathroom is equipped with free toiletries and a bathtub. Free WiFi is available. Rooms are 37 square yards. Includes air conditioning, a flat-screen TV and a fridge. The bathroom is equipped with free toiletries and a bathtub. Free WiFi is available. Rooms are 42 square yards. Includes air conditioning, a flat-screen TV and a fridge. The bathroom is equipped with free toiletries and a bathtub. Free WiFi is available. Rooms are 48 square yards. Includes air conditioning, a flat-screen TV and a fridge. The bathroom is equipped with free toiletries and a bathtub. Free WiFi is available. SIMMONS beds gives you a truly comfortable sleep. 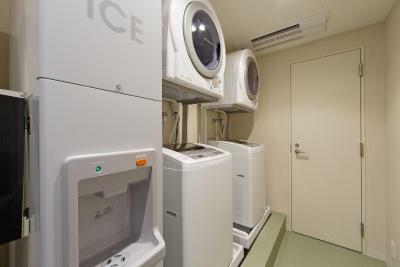 Complimentary laundry and drying tumbler is helpful for a long term guest. Air purifier with humidifier is installed in every guest room. Our lobby - It's suitable for chat, relaxing for a while or any other purpose! Hotel surroundings – This neighborhood is a great choice for travelers interested in city walks, food and old-town exploration – Check location Great location - show map Guests loved walking around the neighborhood! 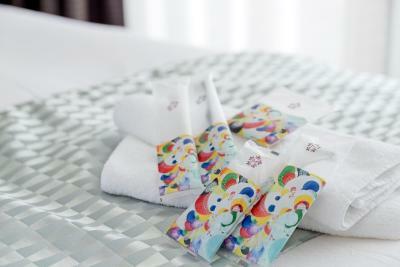 House Rules Hotel Gran Ms Kyoto takes special requests – add in the next step! 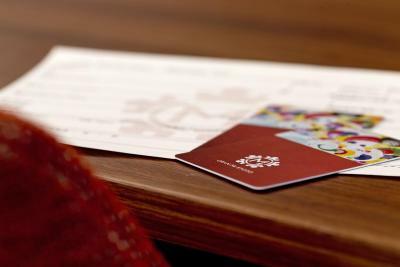 Hotel Gran Ms Kyoto accepts these cards and reserves the right to temporarily hold an amount prior to arrival. Please note that Japanese-style rooms come equipped with Japanese-style futon mattresses. Guests are required to lay out the futon mattress provided in the room themselves. When booking 5 rooms or more, different policies and additional supplements may apply. Please contact the property directly for more details. The toilet is a bit loud whenever you use it which could be disturbing at night. No one made the tatami bed for you. The guest has to make the bed themselves !! That’s not worth a 50k + yen a night hotel at all. Small room. As usual in japan. Good location, clean room. Nice design. King size bed was against a wall. Photo did not show that!. Had it I probably would not have booked as it was difficult getting in and out of bed. To get into the bathroom there was a step of about 12" didn't like that at all. Room overall small but that's Japan Room could have done with a maintenance man to tidy up bits. Strategic location in terms value for money. Reception staff very helpful and good communication. Room size was too compact. Staff were very courteous, location is very close to the subway station just 1 minute. Bed was a bit small for two people. Good location, walkable to some attractions. Clean and comfortable for the most part. Room size is small but normal for Japanese hotels. Staff were very helpful when we asked if they could call up placed to make enquiries. While the hotel was non-smoking, the smoking area was right next the entrance, meaning you have to walk through the smoke to get in to the hotel. It also seemed to vent into the stairwell, making the stairs and hallways smell like smoke frequently. The rooms were small, as we expected. 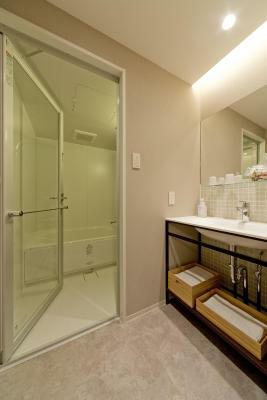 The biggest downside to the room design was the bathroom was the large step into the bathroom. The room was a bit nosy from both street noise and noise from other rooms (can hear snoring and babies crying in the two rooms between us). The lounge area could have done with some sofas rather than tables and chairs as if set up for dinner. Lack of breakfast. Room size. This was my 4th time staying at this hotel. I love the Kawaramachi/Sanjo area. Plenty of food, shopping and transportation nearby. For my purposes more "central" than Karasuma/Oike. Kawaramachi is gentrifying, but hopefully it won't lose its neighborhood feel. There are many non-touristy places to eat, some of them exceptional at what they do. The hotel is basic in the best sense. Rooms are small, the bathroom is one of those drop in plastic "pods" and there is no breakfast served there. But it is spotlessly clean with a cheerful yet well-designed decor. Over my four stays here the front desk has gotten better with English and handle "luggage forwarding" gracefully, inviting you to sit down while they fill out the tags. As for breakfast, there is a table in the lobby where you can bring what you go out and buy. There is a 7-11 on the corner, but just a few steps more is Sizuya bakery and a few more minutes walk and outpost of the French patisserie, Pauls, where you can also sit down and be served. Nice location, pretty close to station. There are few pretty boulangerie around perfect for breakfast and a lot of restaurants too. The room was spacious for the Japanese standard. The staff has an excellent English and is really kind and helpful. The hotel has umbrellas to lend, a big help in raining days. I have stayed in this hotel before. The location is very good, with bus stops nearby and 711 just below.